Our current local project is called "Harvest Food Assist". This is a non-profit Christian mission organisation dedicated to feeding the hungry in Australia and around the world and reaching those in desperate need. Every week we are receiving phone calls from people in desperate need. It is wonderful to be able to extend to them the love of God in practical ways by giving them a free food parcel. 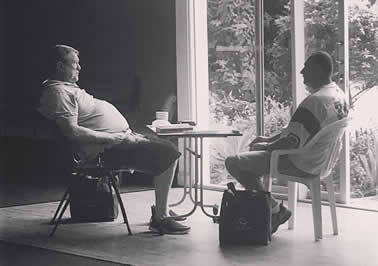 One of our care team meets and listens with a caring ear as these people are able to share their stories. Some of these stories are quite heart breaking and it is so good to be able to give them a listening ear and a little practical help during their time of need. We are also able through our network, to refer them on to other places of assistance. In this way, your prayers, support and financial donations are helping us make a difference in the lives of others. Your partnership is a vital part of this much needed ministry! If you would like to donate to Harvest Food Assist, please visit our donation page. ** PLEASE NOTE: All Harvest Food Assist donations of $2.00 or more are tax deductible. Please send email to general@whm.org.au to receive your tax deductible receipt. Please visit our Harvest Food Assist Facebook page for more information. This is a beautiful scene. It is all about moments like this! Ps. Brian is ministering to a gentleman who has come through Harvest Food Assist that is in need of food relief. He received a free emergency food parcel and a good dose of God's love. Our most recent overseas project was the purchasing of an ambulance. This ambulance allows us to easily conduct mobile medical treatments and food distribution to the poor of India. If you would like to invest into this ministry, you can visit our Donation page where you will find details on how you can show your support. 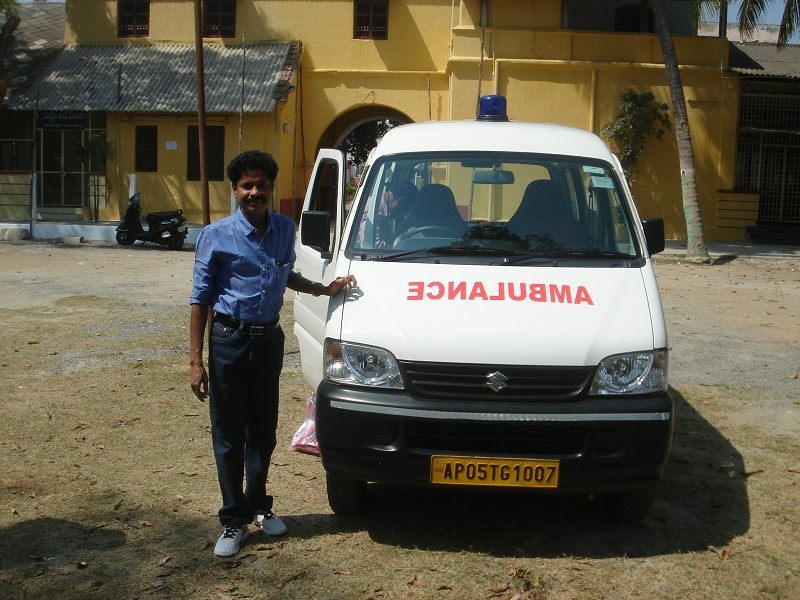 Raj with the new ambulance. 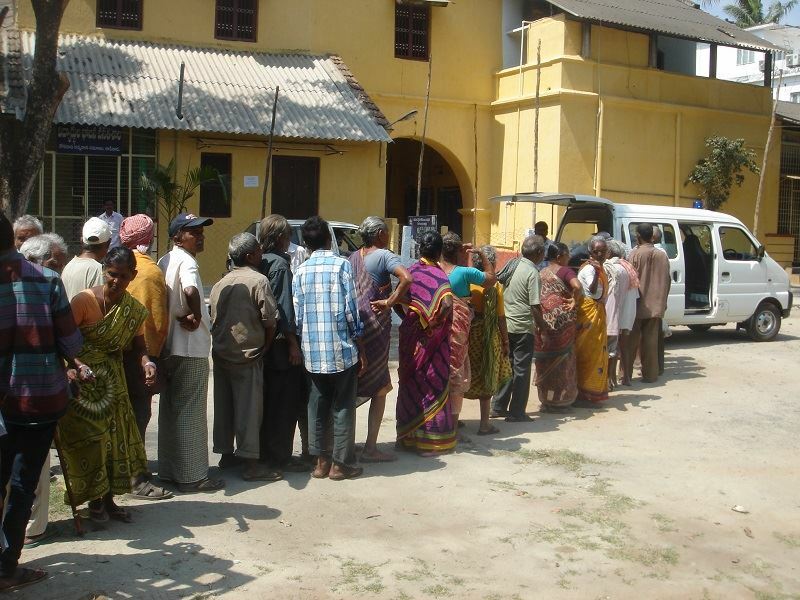 The poor and needy of India lining up to receive medical and food relief. A man receiving medical attention. A lady receiving medical attention. A man receiving a medical check-up. Your Partnership made it possible for us to purchase this ambulance, medical supplies and food. If you would like to sponsor a mobile medical camp to help us continue to supply the poor and destitute of India with much need medical treatments and food relief, you can do so by making an online donation today!